If you shop at Schnucks and have their gas discount card, make sure to register your card with eScrip so the Public Art League receives contributions when you make a purchase. To register, go to www.escrip.com, click on “Sign up, It’s Free”, enter “Public Art League” and fill in the form as prompted. 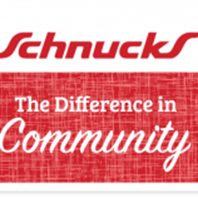 Once you select the Public Art League as your charity of choice, each time you shop at Schnucks, they will donate up to 3% of your purchase directly to us! Plus, in the month of February, all new Public Art League supporters will be entered in a drawing to win one of 5 $100 VISA gift cards. It only takes a few minutes and it's free! Registering your card does not detract from your gas discount. Thank you for your support! 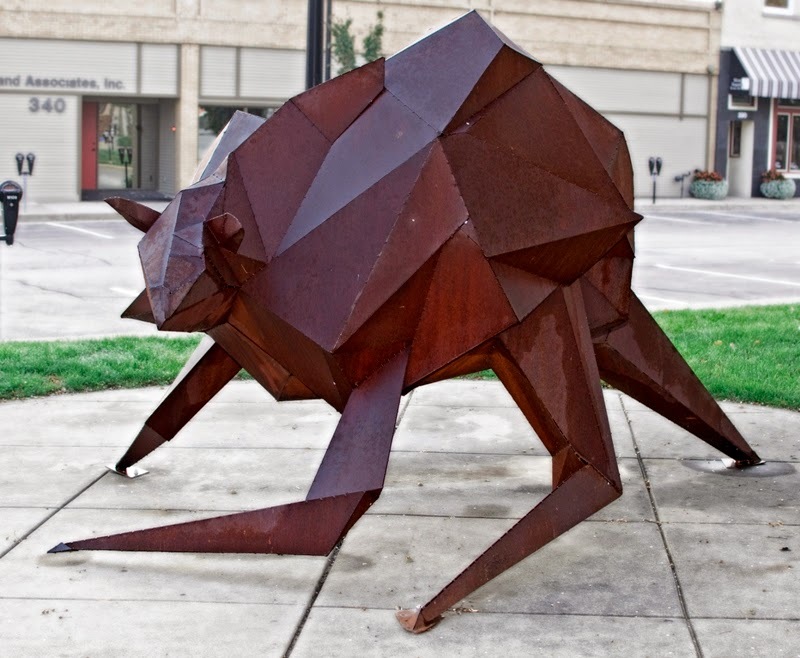 The Public Art League is pleased to announce its purchase of Stride by Beth Nybeck. The sculpture is installed in the parking lot in front of the Orpheum Children's Science Museum and was purchased with funds donated by the Robeson Family Benefit Fund. Regarding Stride, the artist states: "The spirit of discovery is one that needs to be equipped with courage. The journey of uncovering the unknown is filled with fear and excitement. This sculpture explores the awkward isolation of moving onward as a unique individual." Thank you to the Robeson Family Benefit Fund for making the purchase of Stride possible.